Buy a Reusable Bag during September at your North Conway Hannaford and support the museum! For every reusable back purchased at Hannaford in the month of September the MWV Children’s Museum will receive $1.00 – good for your museum and good for the environment! 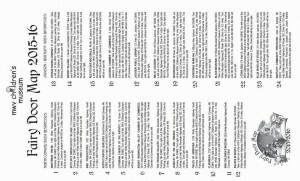 Introducing our Big Belly Bank Program! Does your business/organization want to support the MWV Children’s Museum! Become a part of our Big Belly Bank Program! 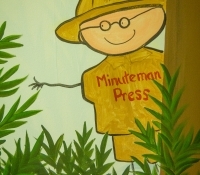 The MWV Children’s Museum wishes to extend a thank you Mystery NH for hosting our Big Belly Bank for the past few weeks! The Big Belly Bank Program is a no cost, hassle free way to support a great local non-profit; The MWV Children’s Museum! The banks sit easily on a countertop and are 16 inches tall. The big belly banks styles are dragon, dinosaur and flower. The banks are sponsored by Cooper Cargill Chant who gifted $500 to seed the project. THANK YOU COOPER CARGILL CHANT! If any other businesses would like to participate in this fantastic cost free program that helps support the MWV Children’s Museum please contact us at 356-2992. We have expanded our Summer Hours to accommodate popular demand! Open 10 am – 5 pm daily July 1st-August 31st. During the weekends of Thomas the Tank Engine July 21st-23rd and 28th-30th we will be open 10 am – 2 pm. We will stay open until 5 pm only if it rains! 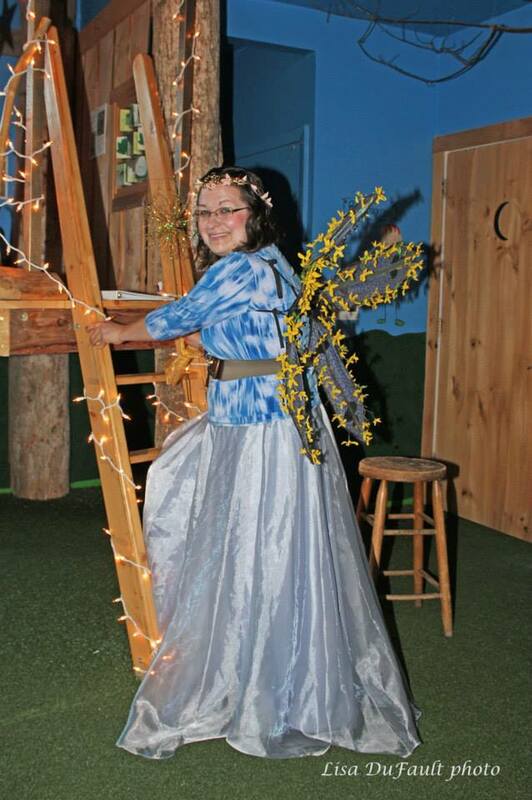 Our Operations Coordinator Kate Fowler has the honor of representing the MWV Children’s Museum in the Valley Ms. Pageant on March 6th at 4pm at M and D Productions. We would love to have member support at the event! This is a fundraiser for Valley Promotions and the cost for tickets is $5.00 per person. The winning non-profit organization will receive $500.00! Help us reach our goal and raise money for the MWV Children’s Museum. Click on the link below to donate today! MWV Children’s Museum Valley Ms. The Fairy Door 2015-2016 Tour Map is here! 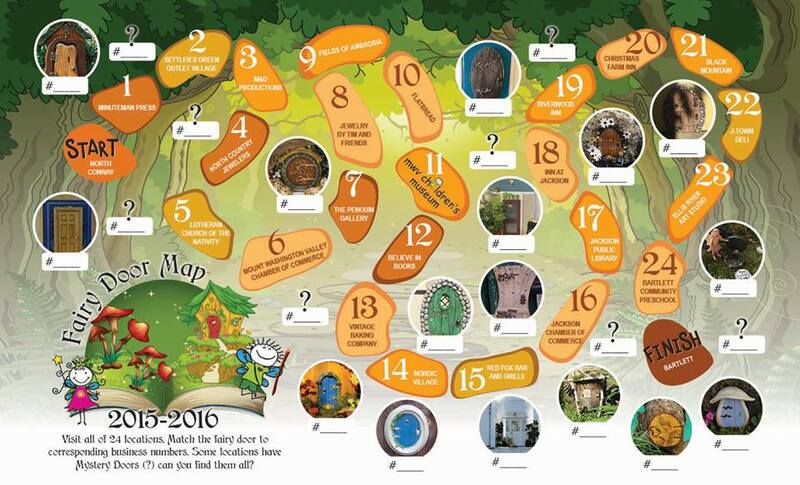 Check out this AWESOME Fairy Door Tour 2015-2016 Map created by Lori Dunn at Minuteman Press! 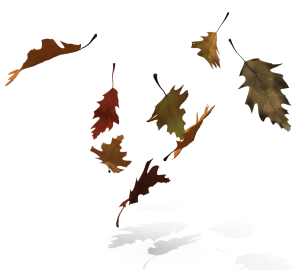 Soon they will be available for your family to pick up here at the MWV Children’s Museum! Join us for our 2015 Jammy Jam! Join us on November 24th 2015 from 5pm-7pm for our Annual Jammy Jam Flatbread Fundraiser. This will be held at Flatbreads Restaurant in North Conway, NH. 20% of all pizza sales from 5pm-8pm will benefit the MWV Children’s Museum! Activities are happening from 5pm-7pm. This event is perfect for little ones 7 years old and younger. A special visit from Santa Claus! A HUGE Silent Auction, and Chinese Auction for the little ones and valley celebrities. 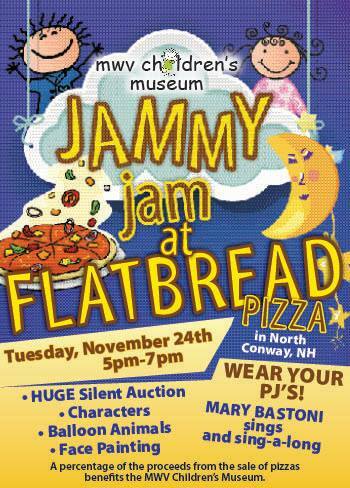 Wear your favorite pajamas and come eat pizza all to benefit the MWV Children’s Museum! Thank you White Mountain Oil and Propane!!! $2,000 donation to the MWV Children’s Museum, new furnace, new desk! THANK YOU for believing in our museum!!! Teacher Workshop, Science with Marvelous Marvin! 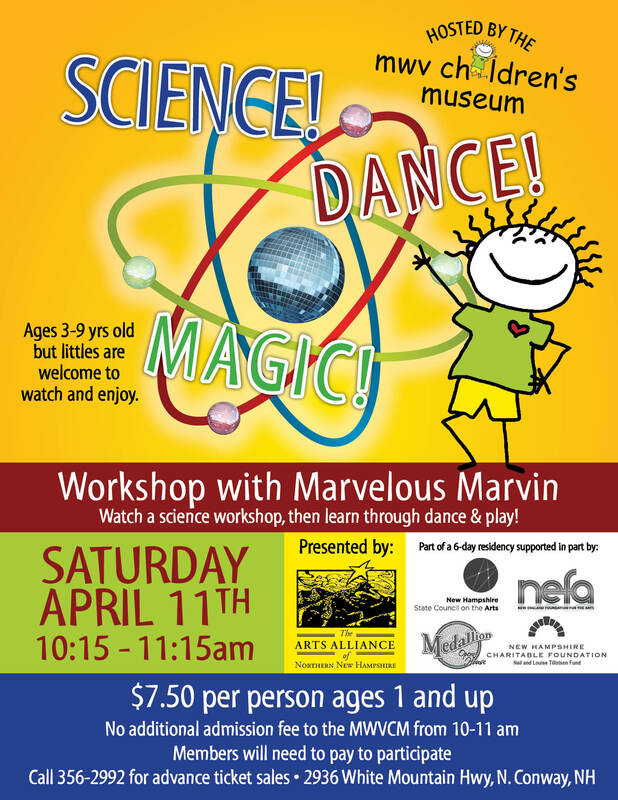 TEACHER’S WORKSHOP, SCIENCE WITH MARVELOUS MARVIN! Last minute amazing opportunity this THURSDAY! 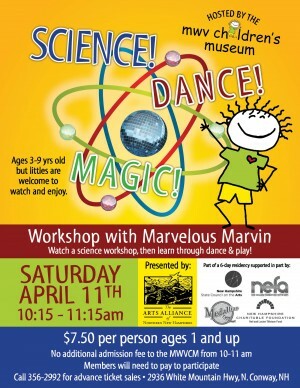 Thursday, April 9th at 6:30 pm at the MWV Children’s Museum Marvelous Marvin will present SCIENCE THROUGH DANCE AND PLAY! The cost is $20 and the focus is early childhood educators. Call the MWVCM at 356-2992 to sign-up or message us at [email protected] and pay on the day of the event. We hope to see you but don’t forget to call or email to get on the list.